As useful as the plucky little astromech droid R2-D2 is whenever he gets to tag along on missions, it's hard to believe that everyone doesn't have an R2 unit with them all of the time. They are portable computer hackers, starship repair crews, holographic projector/recorders, navigators, and just all-around cool little dudes to travel with. Maybe they are really expensive, or require more upkeep than a Naboo luxury ship. 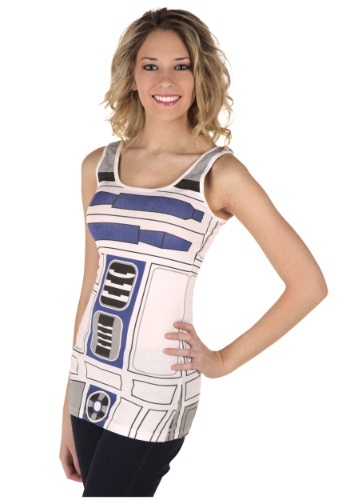 Or, maybe most R2 units are actually pretty lame, and R2-D2 is a rare droid with a natural talent for a heroics and adventure. Whatever your reasons for not bringing your astromech buddy along on your journeys, there's nothing that says you can't bring their style! 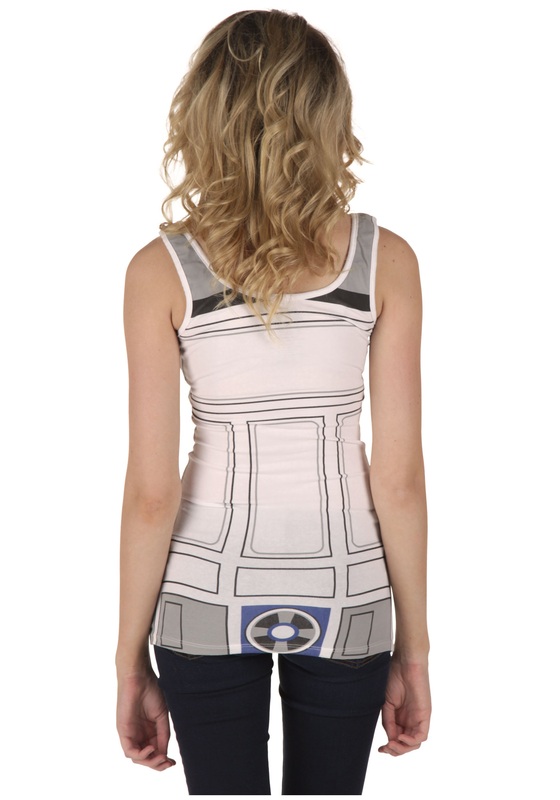 This official R2D2 Tank Top is a versatile look for whatever mission you're on. The cozy cotton spandex blend material is form fitting, comfortable, and is printed on front and back with R2's distinct blue and white detailed body. Practice your lock picking, hacking, and "beep-booping" while wearing it, for a more immersive droid look.